I stopped keeping track of how often I get ask this question on a weekly basis. The answer like the question itself has many answers. Most of the time people think that they have diabetes (usually after self diagnosis via Dr. Google). Diabetes is ONLY ONE of the possible reasons that feet can become numb, painful, tingling or feel like they are hot, cold, feel heavy or have shooting pains in them. It takes a qualified physician to sort out not only the actual symptoms but the causes as well. True enough diabetes is a common cause of numb and tingling feet. Often it can be the first sign of that disease, especially when the patient has not been to their MD for regular physical exams, usually for many years. Other symptoms that usually go along with an eventual diagnosis of diabetes include increase thirst, frequent urination, blurry vision and an increase or decrease in weight. 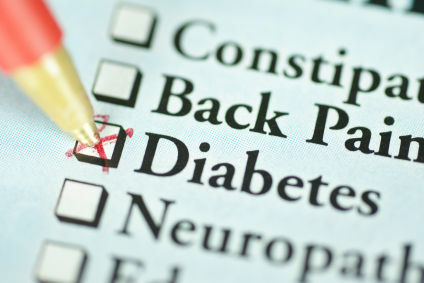 It is up to your MD to do a thorough work up to determine if diabetes is indeed the culprit. Other reasons that could account for painful, numb and tingling feet are liver problems, (cirrhosis), certain very low vitamin levels and even exposure to certain chemicals, heavy metals, and pesticides over the years. As you can see the diagnosis is not always “diabetes”. I even have patients who have no reason for the neuropathy and those who have (thankfully) survived cancer but have been left with neuropathy as a result of the chemotherapy they have received. Painful, numb and tingling feet are no laughing matter. It deserves and demands immediate attention. It will not go away by itself and ignoring it is the worst thing you can do. Your life may depend on getting a proper diagnosis, as soon as possible.